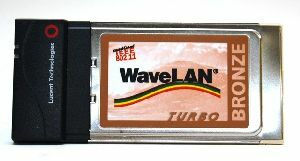 These are Lucent WaveLAN Bronze Turbo PCMCIA WIFI adapters. They are 802.11 compatible. 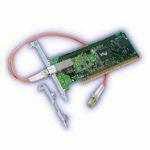 The card also has a port for attaching an external antenna to increase the range of the card.